When it comes to home improvements, investing in fiber cement siding is one of the best decisions that homeowners can make. With so many options readily available in the market, it won’t be easy to make a decision. Experts highly recommend going with James Hardie siding, especially in states known for dealing with extreme weather conditions. More effective than vinyl siding – Many believe vinyl siding to be the best choice when it comes to home improvement projects. But, James Hardie made it a point to design their materials so their durability, strength and overall water retention surpass even the toughest of vinyl siding available. 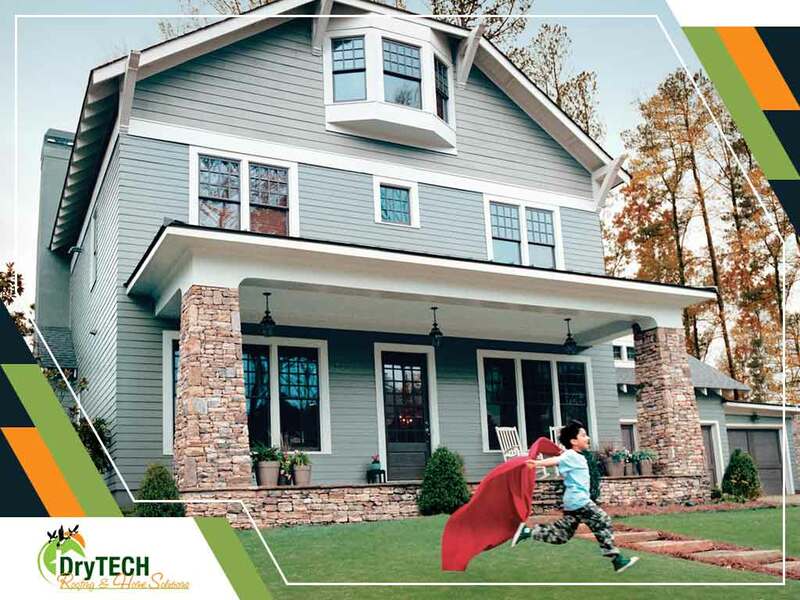 Greater sustainability – Fiber cement siding uses wood pulp and cement, making it one of the most sustainable home improvement materials that help prevent the accumulation of waste in our environment. Adds value to your home – Choosing fiber cement siding allows you to enjoy the numerous benefits it provides. Apart from its strength and durability, the brand provides various options like James Hardie plank siding, which come in a variety of colors and designs. Unlike regular paint colors that tend to flake and dry over time, James Hardie products have a variety of options with colors and textures that don’t easily warp or fade in time. This not only saves you money but allows you to fully express your desired aesthetics as a homeowner. DryTech Roofing is one of the few certified contractors for James Hardie products in Maryland. We also provide solid James Hardie fiber cement siding warranties, so homeowners can get the most benefit out of these quality materials. Let us help you make the right choice. To learn more about your options, contact us today at (240) 491-5600. We’ll be waiting for all of your inquiries.